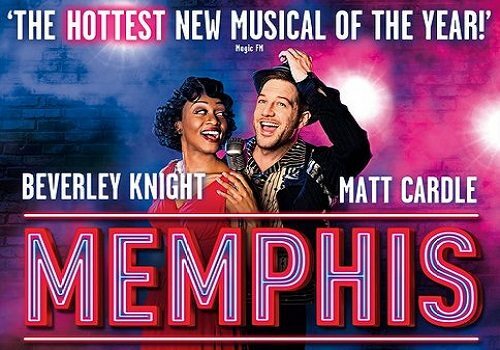 2010 Tony Award winning musical, Memphis, transfers to London’s West End with pop star Beverley Knight playing the lead role of Felicia alongside Matt Cardle as Huey Calhoun. Memphis is the musical by David Bryant and Joe DiPietro that is loosely based on Dewey Phillips, a white 1950’s DJ that famously played black music in the Memphis club scene. The musical focuses on the characters of Huey Calhoun and talented black singer, Felicia. At the beginning of the show, Huey loses his job in a department store for playing black style music over the shop speakers. On frequenting a underground black Rock n Roll Bar, Delray’s, Huey meets Felicia and is blown away by her music, promising to get her on the radio. On finding a job at a radio station, Huey continues to support black music, which irritates his bosses until they receive an influx of calls praising his style. Finally inviting Felicia to sing on the radio, the pair begin to start a star crossed love affair. Can the pair overcome racial discrimination and forge a relationship? Can Felicia find success despite her colour in an ever critical industry? 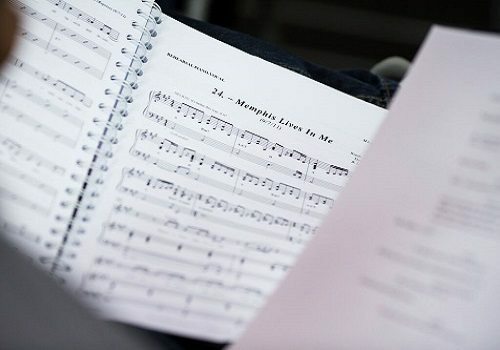 Memphis has been hailed for its great soundtrack with memorable songs such as “The Music of My Soul,” “Love Will Stand When All Else Fails” and “Ain’t Nothing but a Kiss” promising to wow audience members. With music by David Bryan and a book by Joe DiPietro, Memphis is to be directed by Christopher Ashley. 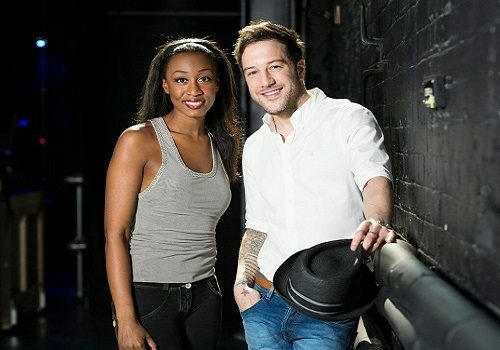 The show will star singer Beverley Knight and cones as her second major West End role following her stint in The Bodyguard at the Adelphi Theatre. Memphis has some scenes that contain moderate adult content and is therefore not suitable for young children. Teens may enjoy the show if accompanied by an adult.